There is a consensus around the NHL that Ryan Kesler is one of the top-tier defensive/power forwards in the league. If this is in fact true, then it would seem that Kesler’s trade value is high. With the forward looking down the barrel of hitting the big 3-0 this summer, it’s also of note that his trade value can only go down from where it is right now. Arguments can be made that Kesler still hasn’t found his highest gear, that injuries have hampered him from achieving his greatest offensive season. But there are those out there that also think an average pro hockey player peaks at age 25. There’s even been an academic study done that largely agree with Arctic Ice Hockey, albeit they extend the plateau to around age 28-29 for most NHL’ers. With the Canucks about to enter uncertain times as far as the whole “winning games” thing goes, it makes a lot of sense to trade a guy like Kesler away. Keeping him in Vancouver would be something akin to the Canucks becoming Cameron Frye in Ferris Bueller’s Day Off, whose father keeps his Ferrari in pristine condition by leaving it in his garage. 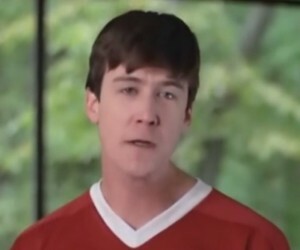 Nobody wants to be Cameron Frye in that movie. Not even Cameron Frye. You see, Vancouver can’t let a Ferrari like Kesler stagnate in the garage for sentimental reasons. 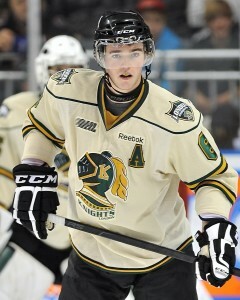 He may have been a key factor in bringing the Canucks to the 2011 Cup Final, but that was 3 seasons ago. If he’s not going to be the driving force behind your team moving forward, then it’s time to part ways. Better to rip the band-aid off quickly than suffer a slow, Calgary Flames-esque death, so to speak. What is hope-inspiring about the Iginla exit out of Cow-town, is that despite the delayed nature of his departure he still commanded quite a lot in return, in relative terms. As a 33 year old at last year’s trade deadline, the future Hall of Famer managed to garner a 1st round draft pick (which they turned into Regina Pat’s star Morgan Klimchuk) and two somewhat promising college prospects in Ben Hanowski and Kenneth Agostino. On a team that desperately needs a re-stocking of the cupboards, as my colleague Darrin Hayes remarked about a month ago, this is a pretty intriguing possibility for Vancouver. Let’s play a game of, “Armchair GM”. Judging from what Jarome Iginla garnered at last season’s trade deadline, one possible return the Canucks could see for a Ryan Kesler trade would be a package of picks and prospects. These are usually the most common offers that Cup contenders usually make for players, as the risk involved in dealing an unknown quantity(prospect) for a known quantity(roster player) without subtracting from your current roster is typically something GM’s are willing to act on. With that in mind, here are some possible destinations for Ryan Kesler in such a deal, were it to happen sometime around the NHL Entry Draft this summer. I’ve always thought of Detroit first whenever the rumour mill starts spinning around Ryan Kesler, mainly because it’s highly likely he’d waive his no-trade if it meant returning to his home state on a permanent basis. What makes a trade with Detroit just as intriguing to me, is the amount of prospects and picks the Red Wings manage to hold on to every year. Despite being perrennial buyer’s at the trade deadline, Detroit has managed to hold on to a substantial amount of their draft picks and using them quite effectively. Because of this, their proverbial cupboards are stocked, as the popular phrase seems to go. Here are some interesting prospects in the Red Wings depth chart that Vancouver should try to target in a Kesler trade. 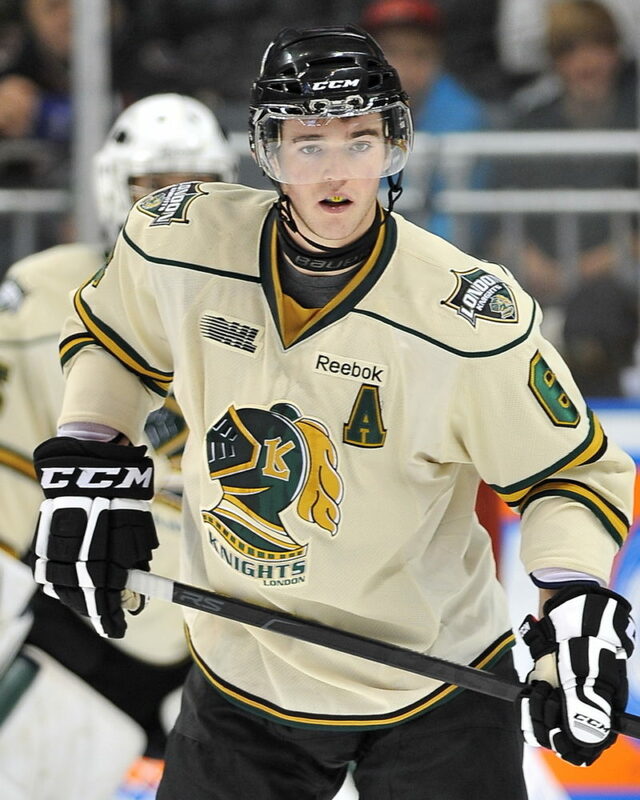 The Val D’Or Foreur standout, and recently crowned CHL Player of the Year, is the headliner of any discussion about Detroit’s prospect pool. Simply put, the 6’4″ 205 lb. winger is a goal scorer. With 120 points in the regular season and 38 more added in the QMJHL playoffs (both at a goal-per-game pace), Mantha is an offensive dynamo that has size and a game-breaking ability that is pretty hard to find in prospects these days. 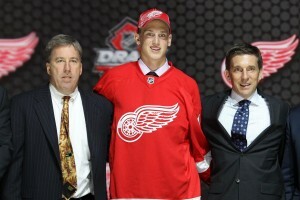 What makes him a possibility for the Canucks in my mind is the fact that so many of Detroit’s other prospects have stepped up in a huge way this year during the Red Wing’s bad run of injuries to top players. Tomas Jurco, Tomas Tatar, Riley Sheahan, Gustav Nyquist and Luke Glendenning all made huge leaps in development this year that will force Detroit management to make some hard decisions on the direction of the team moving forward. The team they currently have almost made a series out of their first round matchup with Boston this year, but they needed another high-end defensive centre to help shut down the balanced attack of the Bruins. With a player like Kesler in their fold, they could possibly return back to Stanley Cup contender status for a few more years, without devastating their depth chart in the process. Could Ryan Kesler be the final piece of the puzzle to bring Pittsburgh back to the promised land? There’s been plenty of rumours surrounding the two sides ever since the thought of Kesler leaving Vancouver crossed anyone’s minds. The Pens have struggled in recent playoff pushes to find someone that can play with Sidney Crosby or Evgeni Malkin as a legitimate trigger man in their top-six. Kesler, who I find to be more offensively effective on the wing as a shooter, would seemingly fill that hole for Mario Lemieux et al. While Pittsburgh has dealt away picks in the past few years in order to obtain deadline, they still have managed to accumulate some promising blue chip blueliners in Derrick Pouliot, Scott Harrington and Brian Dumoulin. Dumoulin seems to be the most likely of the three to be dealt, but both Pouliot and Harrington appear to be the more promising of the three. The blue-line is an area that Vancouver struggled in this year (among others as well) and could definitely use an infusion of youthful talent. It’s always a tough sell to trade away one of your teams top players. What makes trades like that even tougher to relay to fans is when you receive only picks or prospects largely unknown to the majority of a teams fan base. It takes a lot of conviction and confidence in your teams direction to pull off such a trade, so let’s hope that Jim Benning can pull it off for the Canucks. Of course, this is not an exhaustive list of possible landing spots for RK17. There are plenty of scenarios out there that have the potential for a deal to be made, but as far as a simple exchange of prospects and picks for a player like Kesler, these seem to be the most likely to occur in my mind. 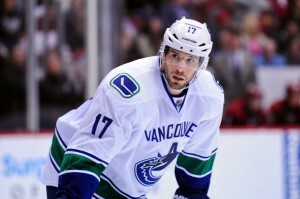 Got another potential deal you see as more likely to happen for Kesler? Comment below and let us know about it. Finished with Part 1? Click here to keep reading Part 2, and stay tuned for more trade possibilities in the next few days.